The Aeroflex® .110 line of products was developed for aerosol penetrants that utilize a slightly larger diameter straw. Larger straws are found on some aerosol products. 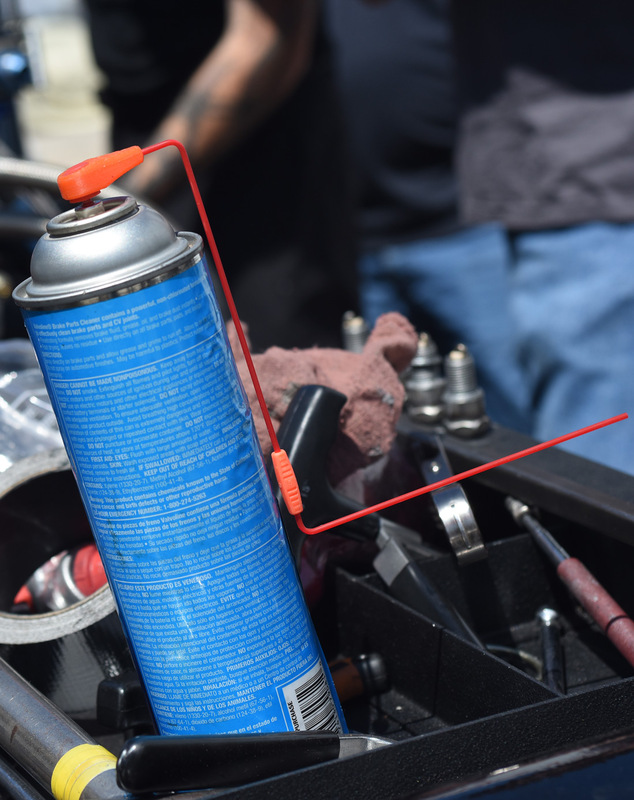 Aeroflex® Pro-Shot Two-In-One Angled Straws allow you ease of maneuverability in tight confined spaces for pin-point accuracy of your favorite aerosol penetrant. Link two or more straws together with Aeroflex® Power-Grip Connectors and easily reach around, past and through any angle, distance or obstruction. 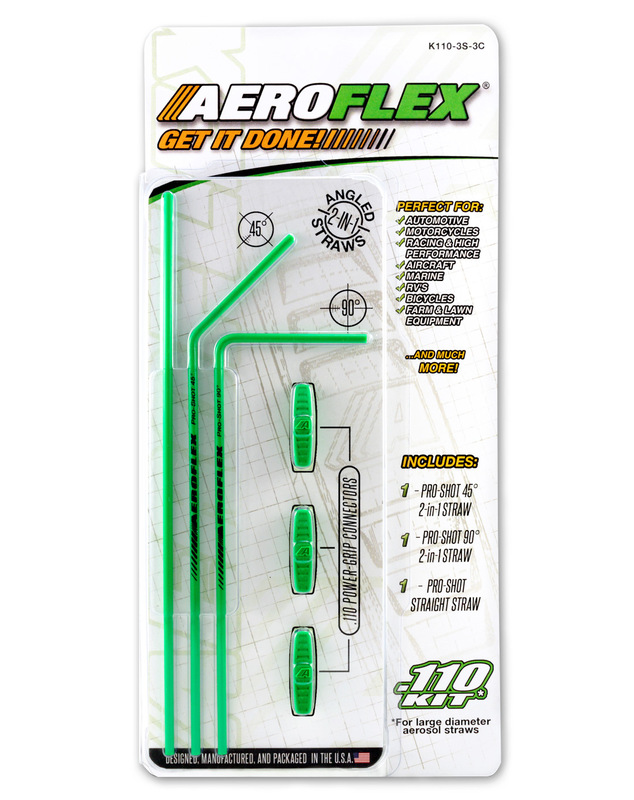 Aeroflex® .110 Kits combine Aeroflex® Pro-Shot Two-In-One Angled Straws with Aeroflex® Power-Grip Connectors in a convenient multi-use package. 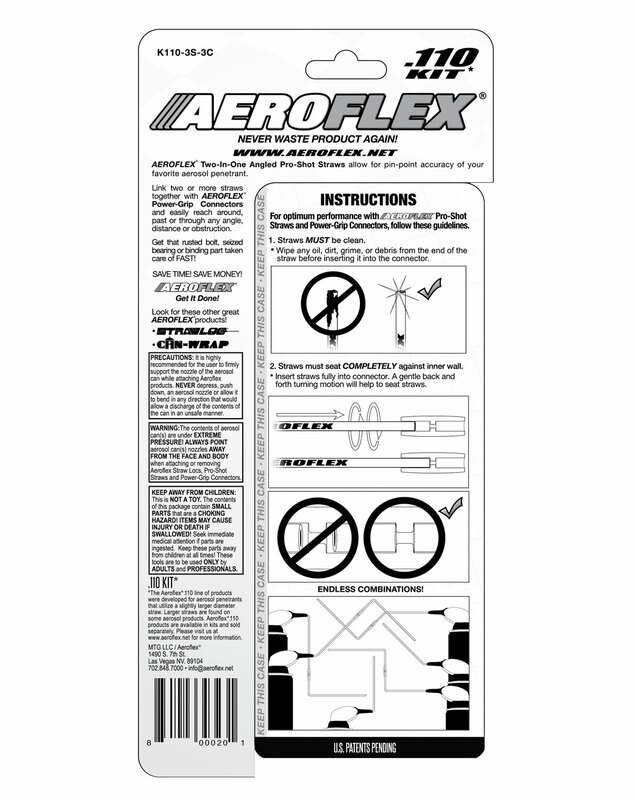 Aeroflex® .110 products are available in kits and sold separately.